Learning Italian can be aided by the use of fun puzzles that test and help you build your vocabulary. 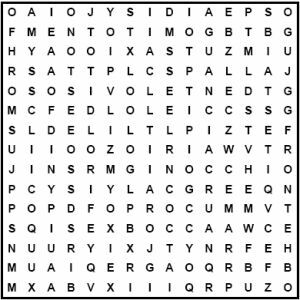 With our Italian puzzles such as word search, you are presented with a topic and a list of words. The aim is then to find each word in the wordsearch grid - but only once you have learnt what the English translation of the word is! This way not only do you get a fun puzzle but you are learning the language in a fun and interactive way.